Samsung Galaxy J7 Prime comes equipped with a Samsung Exynos 7870 chipset which has an octa-core processor clocked at 1.6GHz along with Mali-T830MP2 GPU. Samsung Galaxy J7 Prime was launched in August 2016 with 16 GB internal storage. According to recent reports, the company seems to have launched the 32 GB variant of the smartphone. One important thing to note here is that the new smartphone will not feature any changes or updates to core components such as a better processor or any upgraded camera module. The new 32 GB variant will go on sale in coming days according to a tweet by Mahesh Telecom. The New #Samsung #J7Prime G610FO will now come with 32GB Internal storage for ₹16900/- . ₹1000 more than the 16GB ver. The tweet details that the new variant with model number G610FO will come in stores in coming weeks. The smartphone will be priced at Rs 16,900, about Rs 1,000 more expensive than the 16GB variant. Samsung Galaxy J7 Prime comes equipped with a Samsung Exynos 7870 chipset which has an octa-core processor clocked at 1.6 GHz along with Mali-T830MP2 GPU. The smartphone is equipped with 3 GB RAM and it will have a dedicated microSD slot to expand the storage up to 256 GB. Also, it sports a 5.5-inch Full HD LCD IPS display covered by Corning Gorilla Glass on display. Galaxy J7 Prime comes along with a 13 MP camera sensor with a f/1.9 aperture, autofocus and LED flash on the back and an 8 MP front facing the camera with a f/1.9 aperture for selfies. It can capture up to 1080p Full HD videos. 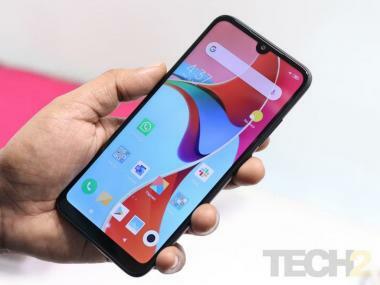 The smartphone offers a number of options regarding connectivity options, ranging from Wi-Fi 802.11 b/g/n, Wi-Fi Direct, hotspot, Bluetooth v4.1, GPS with GLONASS or BDS, microUSB v2.0 port with USB On-The-Go support, 3.5 mm headphone jack and FM Radio support along with dual-nano SIM card slots. The device supports fingerprint scanner, accelerometer and proximity sensors.